- Starts Just @ € 29.99* /mo. ScopeHosts Offshore Russia Dedicated Servers offer Full Control, Performance and Stability to any kind of business models. Our Russian Dedicated Servers are well equipped to support Windows, Linux and any other Softwares. We are known for our consistency of providing premium 24/7 Support and 99.9% Uptime SLA. We co-operate in FIORD datacenter located in Moscow, which is operating in 2350 Square Feet and has expandable size upto 20,000 square feet. Multiple Internet Exchanges like: RetnNet 4Gbit/sek., MSK-IX (M9, M10) 3 Gb / sec., ZAO "Digital Network" 3Gbit/sek, Skadi Telecom + DataIX 10Gbit/sek are Channelized Securely and Backed up. Our Russia Servers are able to handle any kind of Intensive Applications requiring Processor and Disk performances. Our Best Dedicated Server Hosting is the one-stop solution for big data analytics and large database software's, such as gaming and e-commerce. Our servers are located in FIORD Datacenter in Moscow, Russia. This TIER III datacenter is furnished with advanced infrastructure and low PUE. 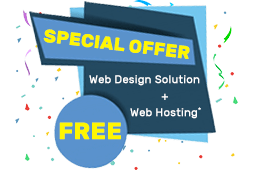 Now experience the best DMCA-Friendly dedicated hosting service at affordable rate and best hosting features. We have cutting edge server equipment's. We optimally prepare and customize the server and configure as per your business needs. We have applied solutions and technologies cooperating with the JSC Datacenter to offer effective and efficient products. We have world-class sources for providing quality services. Till now we have served more than 18000+ clients worldwide! We have reliable network connections to the Internet, delivering data quickly. Relish server with 100Mbps high network volume. We cover day-in and day-out support through live chat, support ticket system and Phone support to get your query resolved quickly. Ans: Our servers support Industry`s Top Premium Control panels and Open Source Control Panels. We offer Premium Control Panel like cPanel, DirectAdmin and Plesk Onyx Panel as an addons while purchasing the Russia Server. 2. Can I upgrade by Russia Server in future ? Ans: Yes! You can upgrade Russia Server anytime during the active contract. Our hardware engineers will take an appointment with you before processing the server upgrade. 3. How often Datacenter`s are monitored? Ans: All the Russia Servers are monitored 24/7 by our datacenter`s on-site and in-house Team. 4. Can I check the latency and speed of the network? If yes, then how ? Ans: Yes, you can check the latency and speed of the network. This is our test IP - 37.58.58.137. You can ping this IP to check the latency and speed of our network. 5. Can I get 1 GBPS port speed in Russia ? Ans: No, we only have 100Mbps port speed in Russia. For 1GBPS, we suggest you to go with other locations such as USA, Germany and Netherlands. 6. Do you provide DDOS protection ? Ans: All of our dedicated servers include Standard DDOS Protection to protect your work against DDOS attacks. 7. Are the russian servers come managed ? Ans: No, our affordable servers are completely Unmanaged. You will be given full root/administration access to your server, so you can manage it by yourself. If you want us to manage your server and other related activities, then you can purchase the server management service provided as addon. 8. Are your servers billed on pro-rata basis ? Ans: No, our servers are billed on monthly basis, that is the server will be renewed on the date you ordered every month. 9. What webservers does the dedicated hosting support ? Ans: Our dedicated hosting supports Litespeed Webserver and Nginx wbserver. You can choose among these webserver during the server order process. 10. Can I cancel my order and get a refund ? Ans: You can cancel our dedicated hosting service at anytime but refund is not applicable for the servers. Our Dedicated Hosting service does not qualify the Moneyback Guarantee policy. 11. How can I ask for a service to be cancelled ? Ans: You just have to raise a cancellation request from client area portal. The service will then be suspended after the end of your billing period, and then all the data stored in the server will be deleted within 24 hours. Please note, once the data has been deleted, it cannot be restored. 12. Do you backup my server ? Ans: We do not backup your servers by default. But we do have a number of backup solutions you can choose from to keep backup of your work. Please contact us with your requirements and we will assist with choosing the best backup solution. 13. Are you blocking any network ports ? Ans: In order to protect client equipment from unauthorized use by third parties we are blocking all incoming traffic to the following ports: udp/53 — Open recursive DNS resolver. These ports can be used by criminals for launching DDoS-attacks. If you are using these ports for your services, please, inform us and we will make them open for you, based on the importance. 14. How can I make payment ? 15. How do you handle DMCA reports ? Ans: We will forward the Report to your registered email address and provide limited time to resolve or remove the reported content or link from the website. You need to update us once you remove the reported content or link in the abuse ticket. Failure to remove the content OR to updating us will lead to suspension of your service. Service will be unsuspended only based on instant content or link removal confirmation in abuse ticket. 16. Can you tell me more about your server backup solution options ? 17. Can I change my payment method ? Ans: We do not impose any rule saying that you have to make use of one payment gateway. You can choose your method of payment for each invoice. 18. How can I restore my password to client area ? Ans: If you have forgotten your password, you can reset it here. When you fill in your registered email address (and answer your account security question if set), you will be sent instructions on how to reset your password. Ans: Yes! You can upgrade Russia Server anytine during the active contract. Our hardware engineers will take an appointment with you before processing the server upgrade.